Get the facts about steam cleaners so you can decide whether or not a steam cleaner would make a good addition to your cleaning arsenal. Below, you’ll find a breakdown of the pros and cons of steam cleaners to help you decide whether a steam cleaner is going to be a good cleaning tool for you. First, however, let’s take a look at your steam cleaner options, so if you do buy a steam cleaner, you’ll be able to pick the best machine for your needs. 1. Handheld steamers are the most portable of the steamers. As their name indicates, they’re compact units that can be easily moved from one location to another. Often used to remove wrinkles from clothes, these steamers can also handle quick kitchen, bathroom, and other household steaming jobs. These cleaners are handy, but they’re not ideal for cleaning large areas. 2. Steam mops are task-specific steam cleaners designed to steam-clean floors. If you’re primarily interested in steam cleaning your floor surfaces, a steam mop will be the most efficient steam cleaner for you. 3. 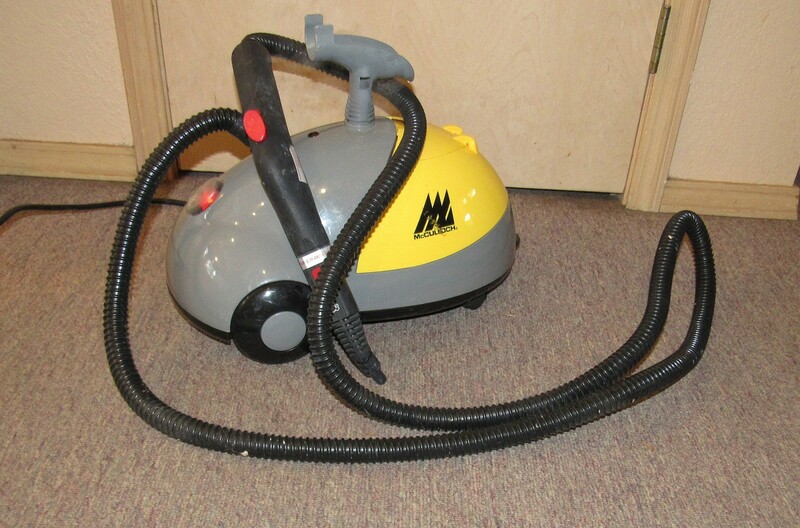 Canister steam cleaners look like canister vacuum cleaners. They have a large water tank you fill with water. When you turn the machine on, it superheats the water, and when you squeeze the wand trigger, you get steam. Although you have to wait a bit longer for the water to heat up in these units compared to handheld units, and although you have a bigger machine to pull around, a canister steam cleaner is usually better suited to household-wide steam cleaner uses. 1. The continuous refill feature on a steam cleaner will allow you to refill the water supply as you clean. Older machines have one tank that boils the water. When it’s empty, you have to let the machine cool before you add more water and boil it into steam. Newer machines have two tanks, one that holds the cold water and one that boils it to convert the water to steam. These machines will sound an alert when it’s time to refill the unit. You then refill the cold-water tank and keep cleaning. The machine will move the water from the cold-water tank to the boiler as you clean. 2. Fast heat-up times are a real timesaver. Most steam cleaners will heat up in 7-15 minutes. Some cleaners, however, can do it in about five minutes. These steam cleaners cost more, but if you’re going to be doing a lot of steam cleaner, you’ll get your work done faster if your machine heats up quickly. 3. 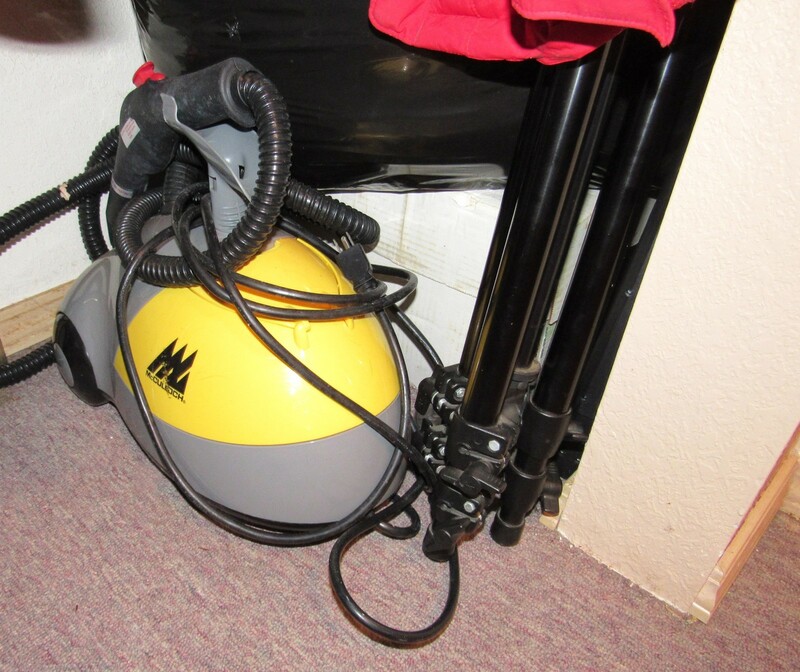 High steam pressure is a feature some steam cleaners offer. This feature, although it sounds good, isn’t all that necessary. The steam itself is what does the bulk of the cleaning. Higher pressure steam doesn’t help the process enough to pay more for it. What you really want is consistent pressure so your steam cleaner is always reliable. 4. A steam volume control can be a helpful feature. It allows you to control the amount of steam you’re using. Because some jobs require more steam and some jobs need less steam, this control can be helpful for efficient cleaning. You’ll never have to emit more moisture than is necessary if you have a steam volume control. So do you really need a steam cleaner? There are several pros and cons of steam cleaners to consider before buying one. Steam cleaners remove allergens like dust mites better than other cleaning methods. No matter how much you vacuum or clean with cleansers, you can’t rid your home of dust mites and their waste. You also can’t clear your surroundings of pollen, dander, pet hair, and other allergens. These tiny particles get stuck inside the pores of surfaces and inside the nooks and crannies that abound in homes, and no manner of conventional cleaning will get them out. Steam cleaners, however, can handle this task. 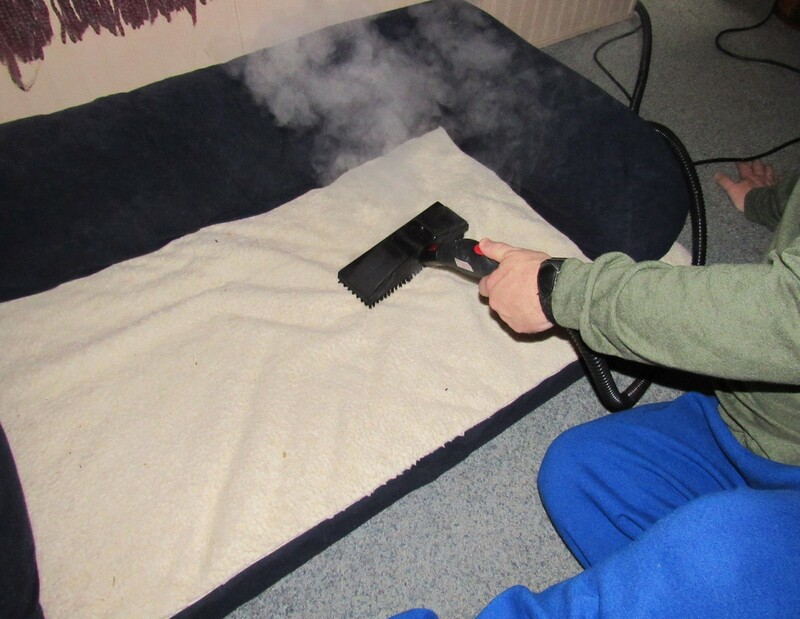 If you want to keep your upholstery and your mattress dust-mite free, you need a steam cleaner. For couch surface cleaning, including microfiber couches, very little beats a regular steam cleaning. Steam cleaning requires no chemicals. If you or a loved one has chemical sensitivities, or you’re just wise enough to know that inhaling cleaning chemicals isn’t healthy, a steam cleaner will be well worth it for you. A steam cleaner can clean dozens of household surfaces and items without any chemicals at all. You can also get rid of fleas without chemicals because steam kills fleas and their eggs. If you have a pet, a steam cleaner is a good investment because you can steam clean all the areas where your pet hangs out. In addition to killing pests like dust mites and fleas, steam cleaning kills most bacteria, viruses, mold, and mildew. If you’ve relied on hot water and cleansers alone to do this job, you might be shocked to find that most home hot water heaters aren’t set high enough to kill germs. Many of these disease-causing microorganisms are getting past your cleaning defenses. A steam cleaner will put up a wall they can’t get through. Steam cleaning is versatile. Most steam cleaners come with an array of attachments that will allow you to use the cleaner in every room in the house. Steam cleaning can get to areas that are nearly impossible to reach with conventional cleaners. 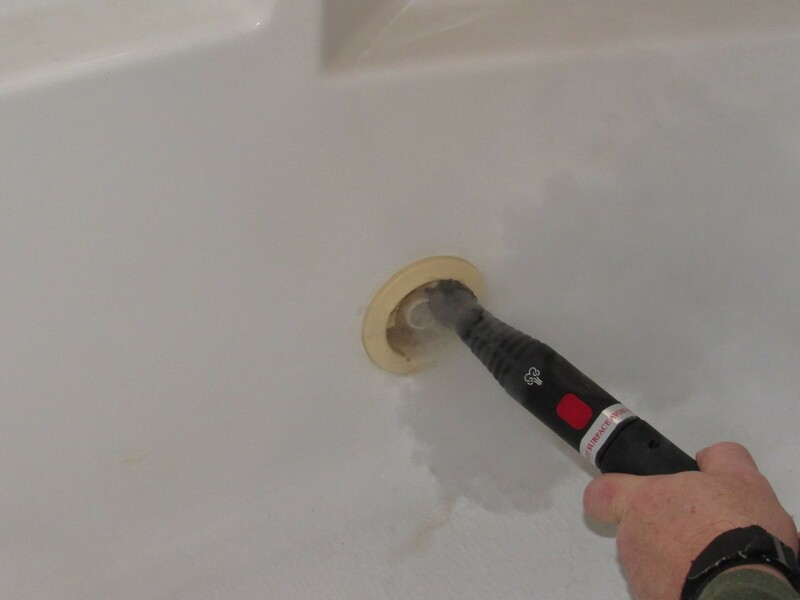 Point a steam cleaner up under the rim of your toilet and the steam can remove mineral deposits. Aim it at the edges of floors, and you can remove accumulated grime. Any small, hard-to-reach spot can be cleaned with a steam cleaner (as long as the surface is heat- and moisture-resistant). Steam will dissolve hard substances that are tough to remove with cleansers. Things like wax, glue, and chewing gum can be dissolved with steam so you can remove them. Steam cleaning is environmentally friendly. If green cleaning is important to you, a steam cleaner is worth it. Steam is dangerous. The steam that comes out of a steam cleaner can cause serious burns. You have to take safety precautions when you steam clean. Only use a steam cleaner if you know you can keep it away from small children and pets. Steam cleaning fills your home with moisture. If you don’t have a way to ventilate the moisture, it can linger and lead to mildew. This, of course, would be counterproductive to the cleaning you’re doing. Be sure have a way to remove the moisture you create with steam cleaning. Either clean on days you can open a window or use a dehumidifier to remove moisture. Steam cleaning isn’t a quick cleaning method. You’re not going to be able to quickly get your home ready for guests with a steam cleaner. Steam cleaning takes time. The machine has to be moved from room to room and plugged in just like a vacuum cleaner. A steam cleaner doesn’t do away with wiping down surfaces. Because a steam cleaner creates moisture, you’ll still have to wipe surfaces after you steam clean. So if you think a steam cleaner is a magic wand, you’ll be disappointed. 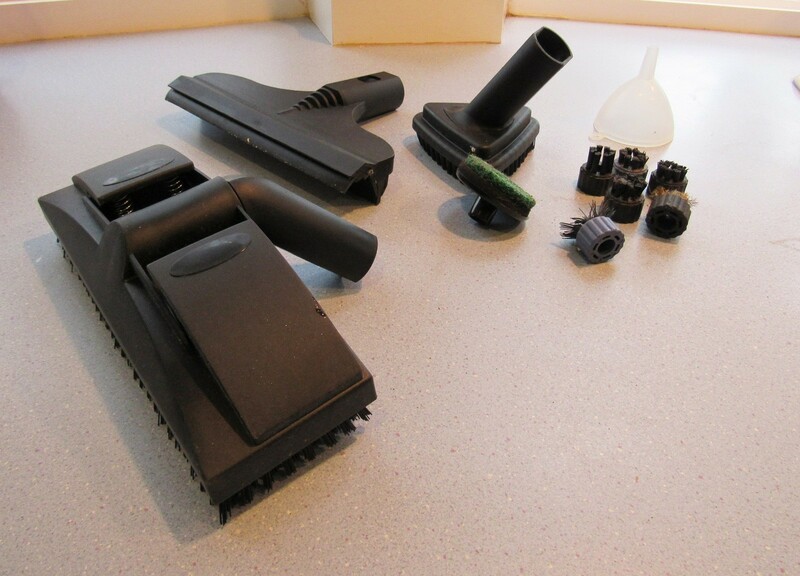 A steam cleaner requires storage space, more so than most cleansers. Whereas you can tuck a few bottles and wipes under a kitchen sink, a steam cleaner (unless it’s handheld) will need some closet space. You can’t steam clean all surfaces. You can’t clean anything that can’t tolerate heat or moisture. This includes unsealed surfaces, polished or waxed surfaces, surfaces painted with a water-based paint or freshly-painted surfaces, delicate fabrics, musical instruments, antiques, and anything made of cardboard, paper, or wood composite. Although some surfaces can be cleaned, if you don’t do it carefully, you can cause damage. You can steam clean wood, for instance, if the wood has been sealed, but you’ll need to use the steam sparingly, and it’s best to place a cloth between the cleaning attachment and the wood surface. You can steam clean walls, for example, if you follow the same precautions. 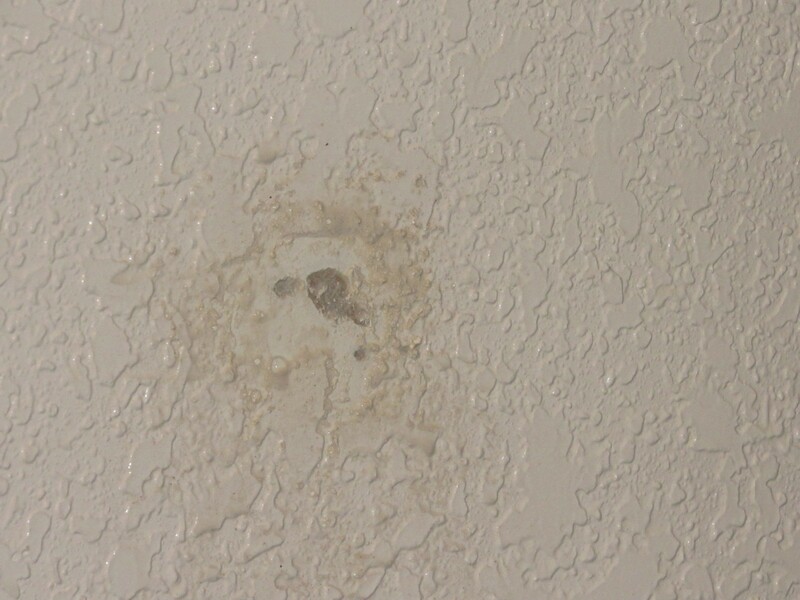 But if you use too much steam on a painted wall, you can steam through paint and the drywall texturing. A steam cleaner can get clogged if not properly used. 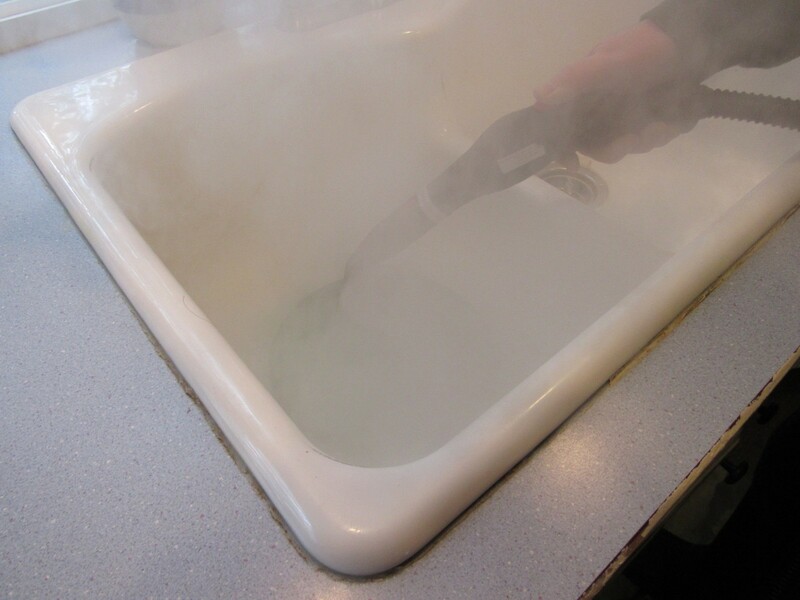 Hard water can leave mineral deposits in your steam cleaner, which will clog it up so it stops working. If you don’t want to waste a couple hundred dollars on a machine that quits within a year or two, use distilled water in your steam cleaner if you have hard water. On balance, if you have the budget to buy a good one, a steam cleaner is well worth the money you’ll spend on it. Although you need to be willing to put in the time to use it and you must be aware of a steam cleaner’s dangers and limitations, the myriad of cleaning and disinfecting tasks you can do with a steam cleaner far outweigh steam cleaning risks and inconveniences. Hopefully, now that you have all the steam cleaning facts, you can decide for yourself whether a steam cleaner will help you keep your home clean and healthy.